1 Way to Help You Meet New Readers: Meet and Greet – What's for Dinner Moms? Would you like to connect with other bloggers? 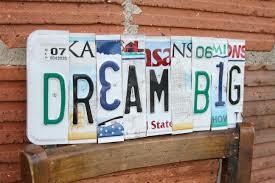 Be sure to head over to Dream Big, Dream Often and leave your link! What day is it??!! HUMP DAY!! No, that is completely wrong…it’s Meet and Greet Day! Previous Post I Want to Help You Grow Your Blog! Stopping by from the Meet and Greet and seriously I am LOVING your blog! What an awesome idea to try and incorporate more dinner ideas into your families life! Sometimes I am creative like this and other times I find us having another meal of spaghetti or hot dogs because of our planning. I really thing I am going to try this, thanks. Oh, and by the way I am also loving meeting another Disney fan! Thank you! There are still days it”s tough but now the kids are in on it too it’s easier..